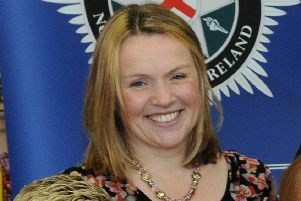 Police have been urged to do more to tackle a ‘litany of crimes’ plaguing a housing estate in Dungannon, amid fears that further violence will be perpetrated against residents. In the latest incident, a car was destroyed in an arson attack in Fairmount Park on Friday past, which is believed locally to be linked to previous attacks including a security alert involving a pipe bomb in January. Police in Dungannon are appealing for information following the latest incident in which the car was severely damaged. A Fairmount pensioner had his car destroyed in an arson attack in March, less than two months after a pipe bomb was left in the front seat of his former car. The January attack sparked a security alert which led to a number of streets being cordoned off for most of the day and some residents being evacuated from their homes. In a further incident on April 14, a gun was fired at a man in the troubled housing estate. Police said a 30 year-old man was approached by four masked men in the early hours of the morning who made threats before shooting at him. It is understood there have also been a number of other attacks in the area, which have been linked to criminal violence. Dungannon Councillor Dominic Molloy condemned the attacks, saying there was a strong belief that the violence was linked. “Many people believe the incidents are connected and there is a criminal element behind them”, he said. Councillor Molloy outlined his criticism of the police response so far. He said that local police should be more proactive in their response.